This is a really quick full-body warmup you can do either at home before you leave for the golf course or in the locker room! All you need is a simple, cheap red resistance band and a door attachment which you can get from amazon here – Exercise Bands and 66fit Exercise Band/Tube Door Stop Attachment – Black – The door attachment means you can easily adjust and perform exercises safely with the band. Warming up for golf usually consists of a few practice swings with a mid iron and then straight into the bucket of balls, or worse, the first tee shot is your first swing of the day! If you want to start your round the right way and avoid silly injuries while your a it then you have to be fully warmed up and ready from the get go not around the 5th green! Miguel Angel Jimenez is famous for his wacky warm-up routine, but the results speak for themselves, he is still challenging some of the youngest most talented guys on tour and he’s in his 50’s! Just try this once and you will be hooked, I guarantee it. The warmup consists of 4 exercises which will get all your major muscle groups and joints ready for some superb golf swings! 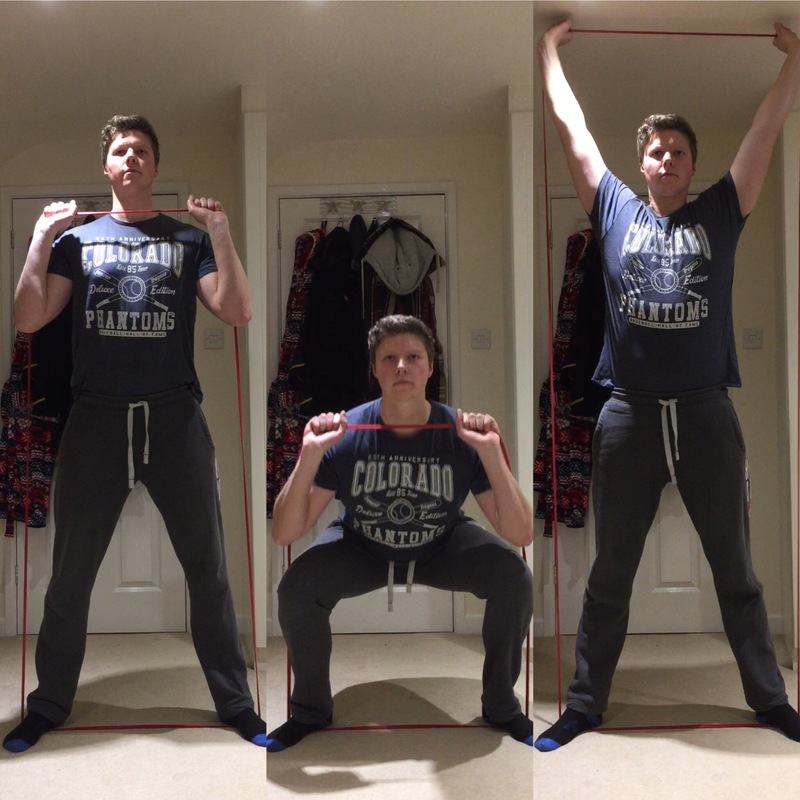 Perform each exercise for 45 seconds, the band rotations will be 45 seconds per side. Really squeeze and hold your shoulder blades for a second on these to make sure you get the muscles activated. Keep your hands directly in front of your chest to keep the upper body connected on the band rotations. Try to imagine you are performing a golf swing with the rotations, this will help warm-up the correct movement patterns too! That’s it, nothing strenuous, just a full-body warmup to get you loose and ready for your practice balls and the first tee! Give it a go and let me know in the comments if you found this helpful or share your current warm-up routine, its great to get feedback and for you to share your own tips! Check out my journey to 300 yards series too for some great tips I have gained along the way! If you liked this then make sure to Subscribe to the Method Golf Fitness mailing list so you never miss an article plus get 3 FREE Golf Workouts as a thank you and subscriber exclusive content! Like Method Golf Fitness on facebook and follow on twitter and instagram for workout videos, posts and motivation – all linked at the bottom or to the side of this page. If you have any requests for topics or questions please don’t hesitate to leave a comment below or contact me on social media, I am always happy to help! Previous Previous post: ﻿My Journey To 300+ Yards – Part 2, Building The Foundations!